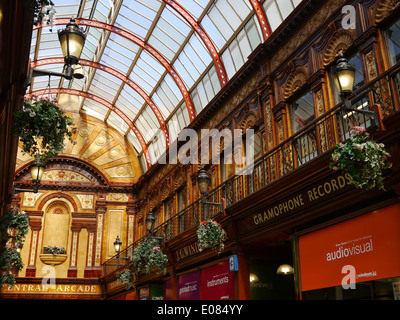 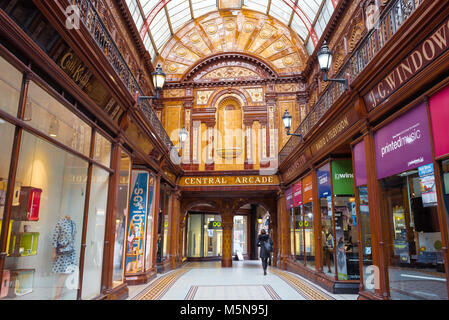 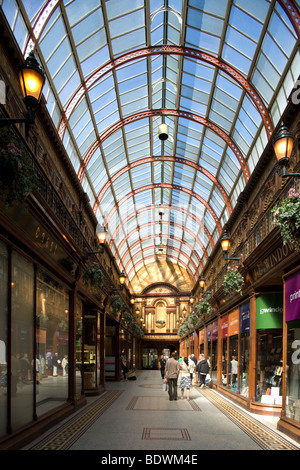 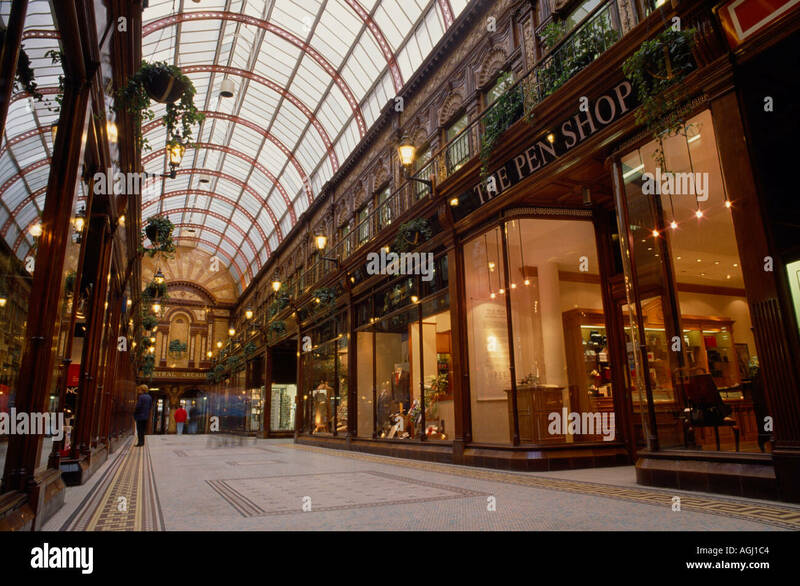 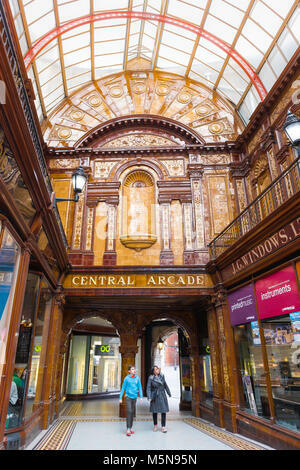 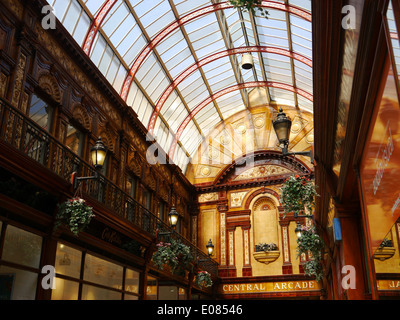 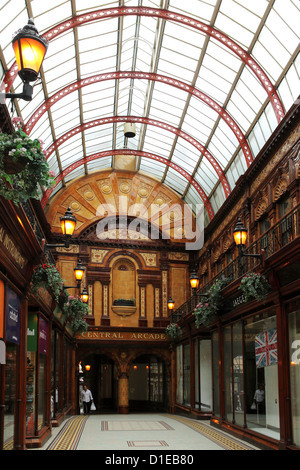 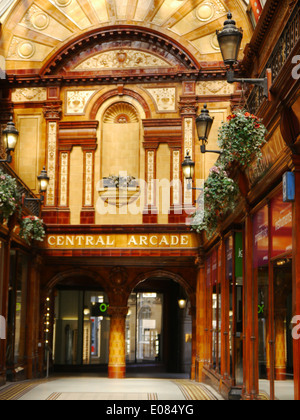 Central Arcade in Newcastle Upon Tyne. 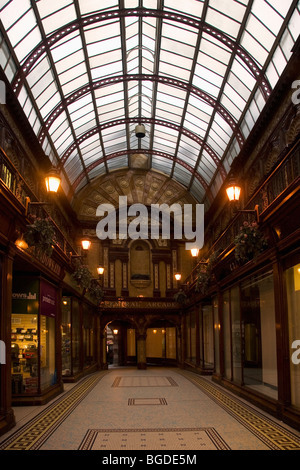 Lamps light the interior of the Central Arcade in Newcastle-upon-Tyne, England. 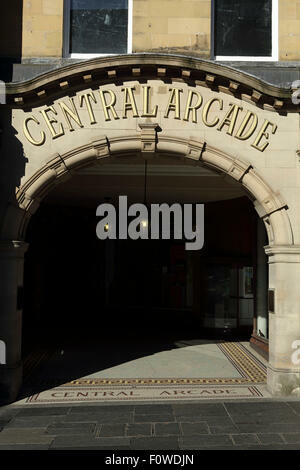 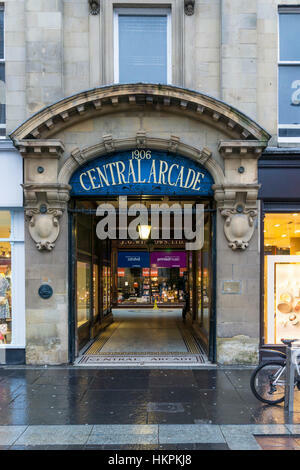 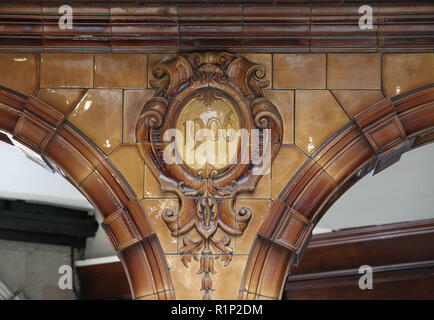 Entrance to the Central Arcade in Newcastle-upon-Tyne, England. 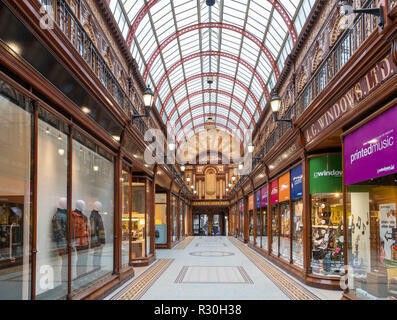 The building is within Grainger Town.